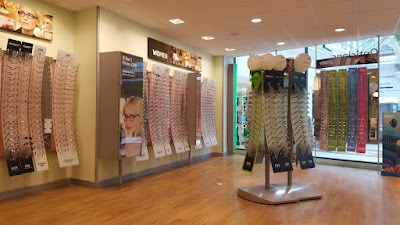 The Brick Castle: Specsavers Opticians Review (and my 8 year old's photography debut!). 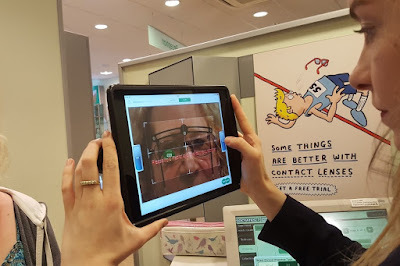 Specsavers Opticians Review (and my 8 year old's photography debut!). 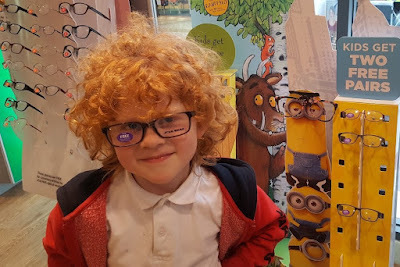 A couple of weeks ago we visited Specsavers Opticians to review. As I couldn't really take my own photos, I let my 8 year old loose with my camera. 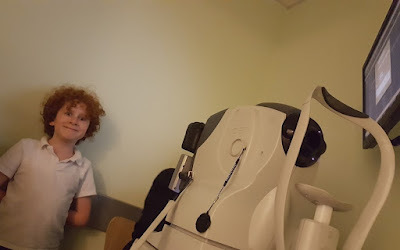 This is a real 'child's eye-view', and he did a great job. 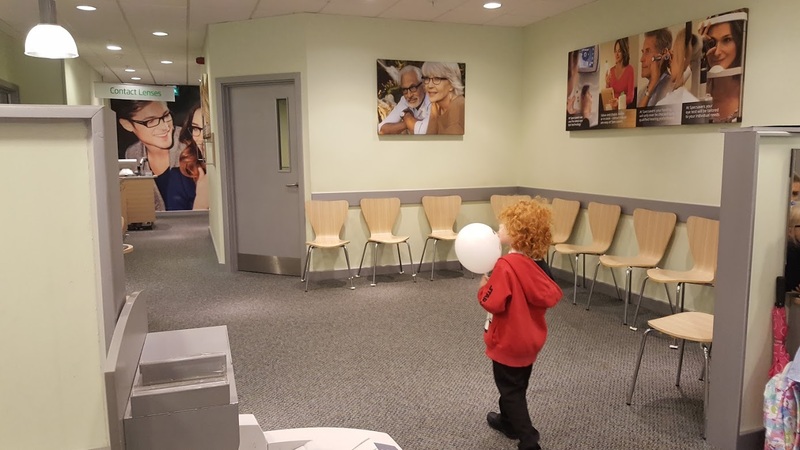 Specsavers is actually our regular family Opticians. The prices, range of glasses and service have always been great, and we've been using this branch for the last 9 years. It's familiar to our 6 and 8 year old boys, who have had their eyes tested regularly since they each started school. My 8 year old was quite excited when I suggested he take the photos, but it was nothing compared to his 6 year old super-charged sensory-seeking brother, who was meanwhile bouncing off the walls. I have to credit all of the staff for ignoring him to the best of their ability and for not making me feel like a bad Mum. All bribes and even a screen ban threat were not getting him to stand or sit still. 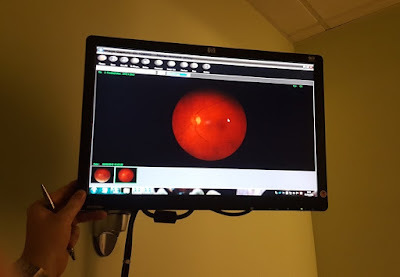 I wear glasses, which needed changing, and the Optometrist pressure tested my eyes and took digital photos of the back of my eyes before the more traditional tests. 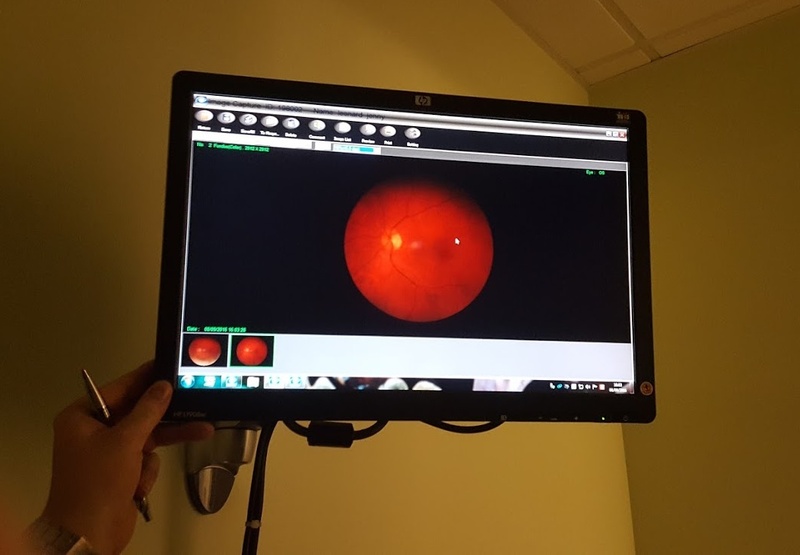 It was actually really cool to see these photos, as you don't usually, so thank you to my 8 year old, who listened really carefully as the Optometrist explained everything, and took the time to answer his questions. It was over in under 10 minutes, and I was given my prescription. 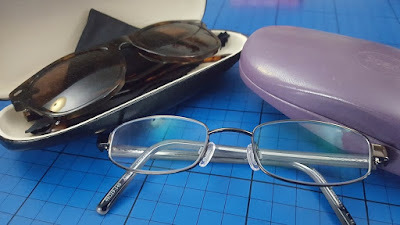 You don't have to buy your glasses at Specsavers, but they have so much choice that none of my family have ever had a problem finding something to suit - at a budget that also suits. The staff are always on hand to help advise on what frames work best for your face shape and colouring, and they know their products. 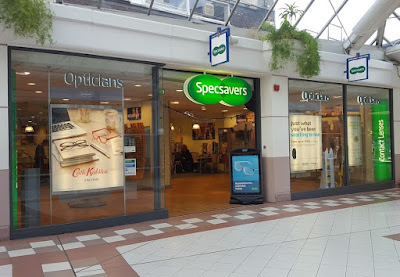 One of my favourite things about Specsavers is the range of 2for1 glasses. There are hundreds of glasses to choose from, and when you have a busy life plus small children, a spare pair can be invaluable. 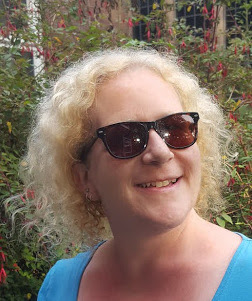 Offers change from time to time, but I've previously had my distance and reading glasses 2for1, and on this occasion I thought I'd treat myself to my first ever Prescription Sunglasses as my free second pair. 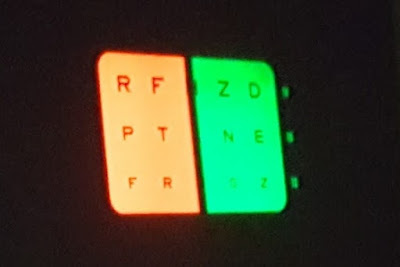 I struggle with glare from lights, so was advised a non-reflective coating, and I have my glasses thinned too. I was given all the advice and information I needed throughout. 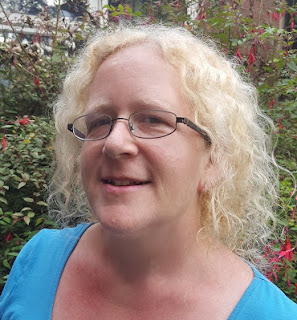 Every member of staff I dealt with was lovely and explained exactly what they were doing and why. My glasses were ready in under a week, which is pretty impressive for coated and thinned lenses. When you collect them the staff check they're comfortable and do the job. 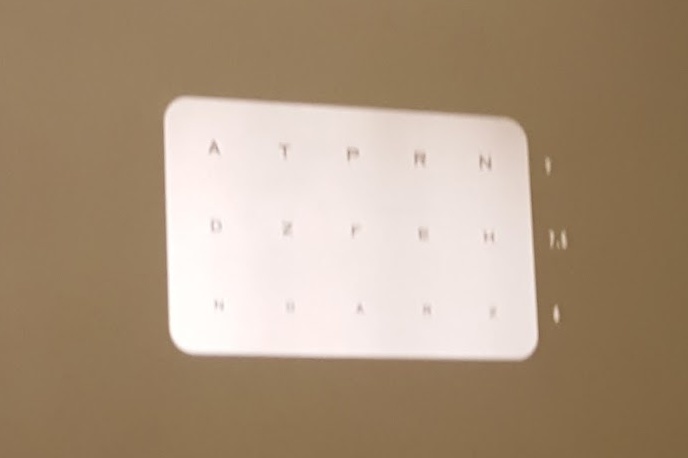 Sometimes you can't tell straight away that your glasses will rub on your ears or aren't quite right, but you can take them back any time within the first 3 months and they'll put it right without any question. I was advised black might be good, and they were right, I really like them. I chose to have a brown tint to my sunglasses, which have been brilliant when driving, although possibly not the best time of year to get sunglasses as I'm unlikely to need them for a while now. I'm really pleased with my visit. 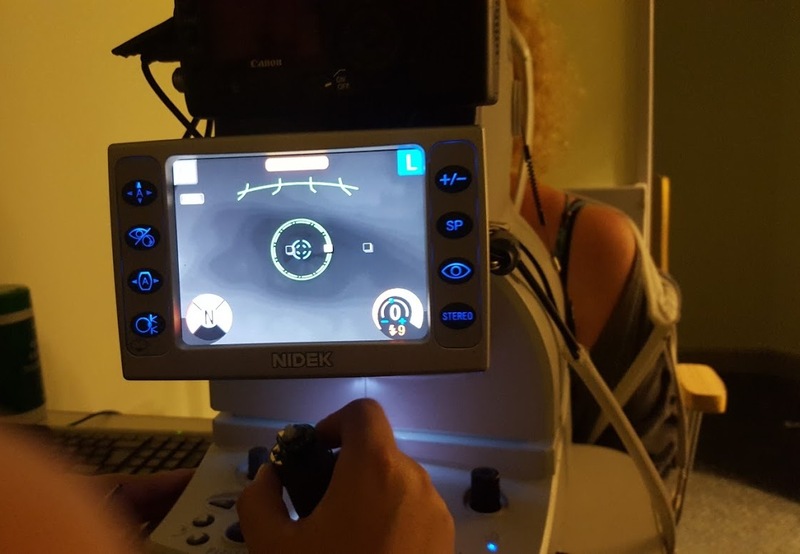 My new glasses are a definite improvement, and as it's the same eye which is getting worse each visit, I feel very reassured by the checks which Specsavers perform. I know I don't have pressure in or behind my eye, and nothing visibly wrong, it's just getting older. 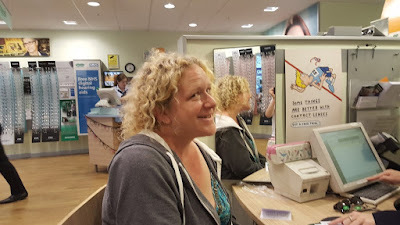 Eye care is something my parents never overlooked, so I have visited the Opticians regularly since I was a child, and I have worn glasses since I was 16. I know from experience that the correct glasses can help prevent headaches, sore eyes, and neck and shoulder strain. I'm a repeat customer at Specsavers because they have always provided me and my family with the correct lenses, in frames we like, for a price that is very reasonable. Specsavers have hundreds of branches throughout the UK, including a service for the Highlands and Islands, and a home service for eligible people who can't attend a store. To book an eye test or for more information see the Specsavers website.